Every day, numerous resources are collected, transformed, and consumed by humans. The pace of this collection threatens to permanently deplete the earth’s natural reserves, while the transformation and consumption phases release harmful emissions into the environment. Methods of varying precision and complexity are being developed to evaluate impacts and identify areas for improvement. I Care & Consult participates in the development of these methods through internal or financial research and also supports you in evaluating and improving the impacts of your products. 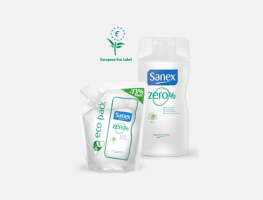 Our expertise in the circular economy is organized around two key segments: life cycle analysis and ecodesign. Guillaume Neveux is the sustainable products contact. 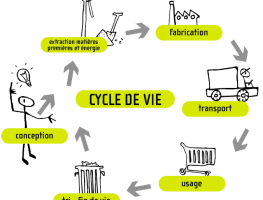 The analysis of the life cycle quantifies the environmental performance of a project, project or activity – for all or part of its life cycle (the initial extraction of materials, passage through the stages of production, distribution, utilization, and finally the end of life). This assessment provides a robust basis for commencing the evaluative process to improve products and services. I Care & Consult assists companies or institutions seeking to study the environmental impact of their activities and products by performing life cycle analyses or by creating the tools – the “turnkey solutions” – specifically customized for the job (multi-use tools, methodological development, guidelines…). I Care & Consult also performs LCAs. Ecodesign is based on the idea of reducing the environmental impacts of a product or service without sacrificing quality. Train your staff in ecodesign. Is there a green bond premium?